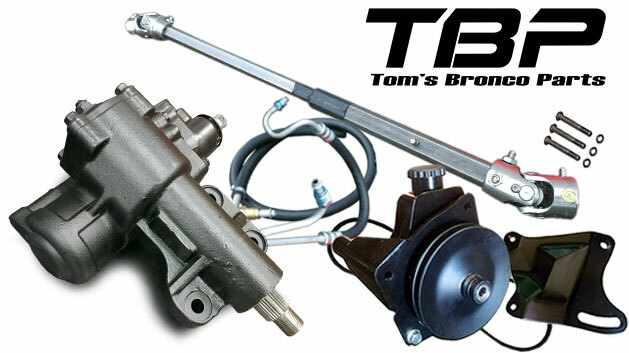 This Power Steering Conversion Kit for 66-77 Early Ford Broncos is the perfect kit to upgrade or replace your worn out stock power steering setup. This power steering kit includes: close-ratio steering box, heavy duty saginaw style power steering pump kit w/ pulley & mounting bracket, power steering pump tensioner bracket, power steering hose kit, power steering belt, lower steering shaft and mounting hardware. Please select if you have a body lift kit or not, and also what motor you have.